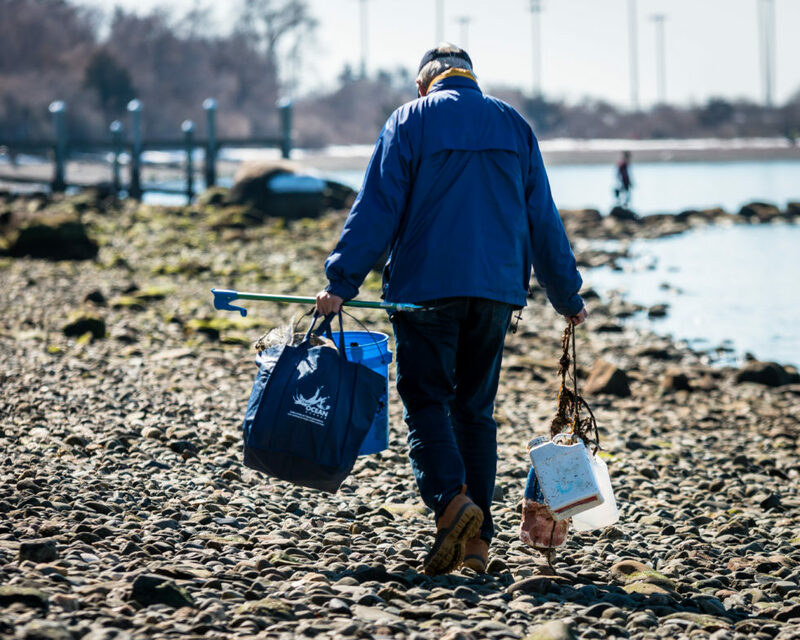 PORTSMOUTH — On Saturday, March 9, 2019, Clean Ocean Access (COA) hosted a cleanup at Weaver Cove, located on the west side of Aquidneck Island. 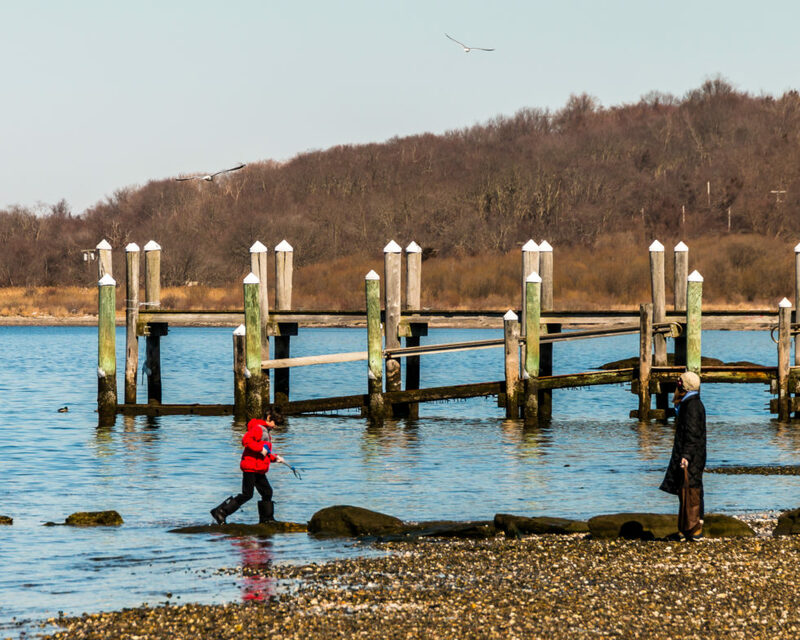 This popular boating and kayaking area overlooks Narragansett Bay with Prudence Island in the distance and boasts ample parking for public access, a boat ramp, and a gravel beach suitable for launching hand-carried boats, such as canoes and kayaks. The brisk, sunny Saturday gathered 99 volunteers from across Rhode Island, including Jamestown, Bristol, North Kingstown, Portsmouth, Middletown and Newport. Volunteers such as Portsmouth Town Councilors Linda Ujifusa and J. 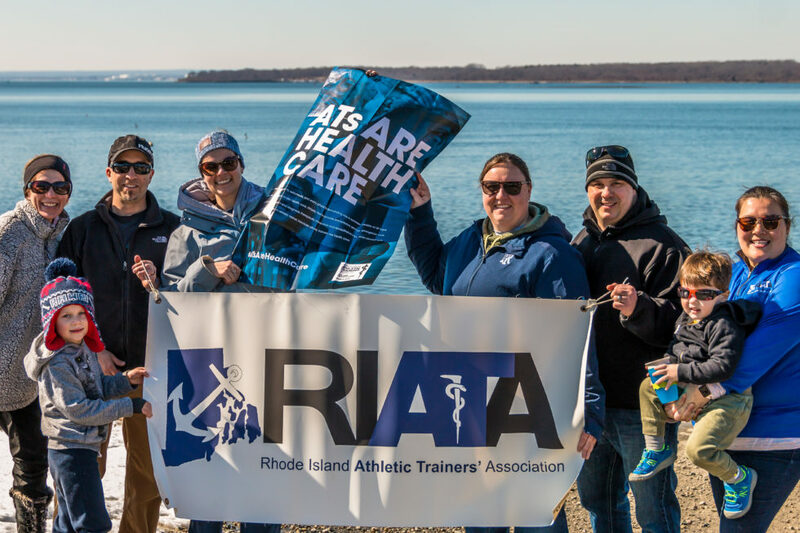 Mark Ryan, students from Salve Regina University, and members of the Rhode Island Athletic Trainers’ Association worked together to collect 378 pounds of marine debris from the Weaver Cove shoreline. 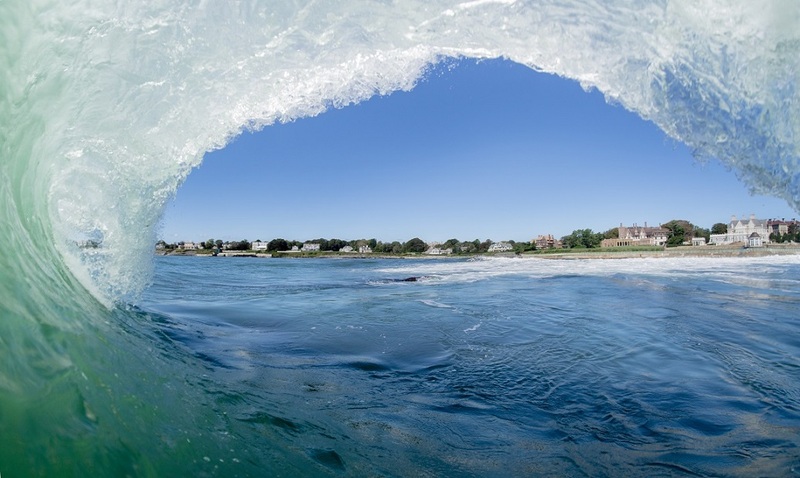 “Rhode Island is blessed with so much coastline, which is all the more reason to keep it safe,” said Clara Read a resident of Bristol. “Oceans are the lungs of our planet and now more than ever we need to take care of them.” Read was accompanied by Jay Hurd who was happy to participate in his first beach cleanup with COA. Volunteers collected over 2,138 individual items of marine and litter, including 303 food wrappers and containers, 260 plastic bags, 237 plastic caps and lids, and 181 plastic straws and stirrers. COA volunteers both new and old come from across the state and bring an unwavering passion for the ocean. One enthusiastic young voice stood out from the crowd this past weekend. “I want to help the world,” chanted one Portsmouth elementary schooler, who was accompanied by her mother. “I want to help keep the animals here alive because I care about them,” added the young ocean steward as she carried her grabber and reusable bag. COA’s beach cleanups are made possible by the generous sponsorship of People’s Credit Union and their support of a clean local economy. Their sponsorship helps fund the beach cleanup program and by supplying volunteers with cleanup kits that include grabbers, gloves, reusable bags, scales and clipboards. The 2019 beach cleanup schedule is available online. COA actively seeks volunteer photographers to capture our weekend cleanups, as well as volunteers to join the flexible cleanup program. 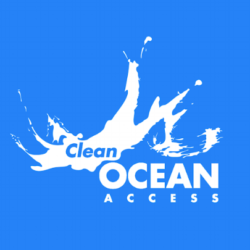 If you are interested in adopting a section of Sachuest Point to clean on a flexible monthly basis sign up online or email jessica.frascotti@cleanoceanaccess.org.